Mike excelled in the arena, riding in her first rodeo at five and winning her first barrel racing championship at thirteen. 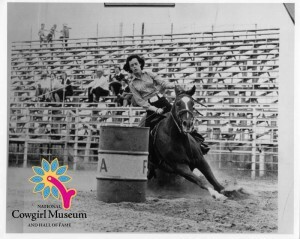 During her career, she won titles in Texas, New Mexico, and Oklahoma, including three collegiate titles and making the Ranch Girls’ finals four times at Fort Worth. Holding true to her ranching heritage, Mike is still a working cowgirl, helping to run the family ranch in the Texas Panhandle.